Sony Pictures Television (SPT) and Teleset will produce the original scripted series “El Mariachi” for the Latin American market. Seventy episodes of the one-hour drama will air across Latin America on Sony Entertainment Television (SET). Based on the Robert Rodriguez film of the same name, “El Mariachi” follows young mariachi musician Martín Aguirre, who is mistaken as a legendary fugitive and inadvertently thrown into a war with the cartels. After being unjustly imprisoned, the mariachi escapes to seek revenge against those who wronged him, regain his honor and fight for the woman he loves. 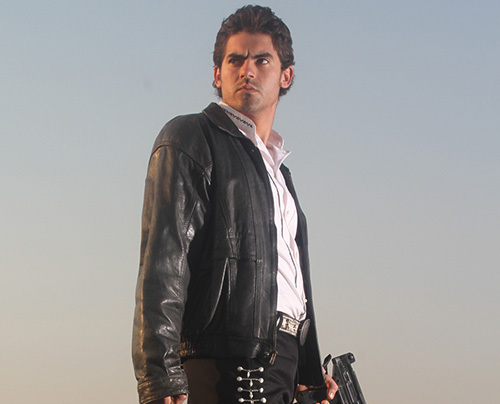 “El Mariachi” stars Iván Arana (“Soy tu Fan” and “Bienvenida Realidad”) as Martín Aguirre, Marta Higareda (“Street Kings” and “Borderland”) as Celeste Sandoval and Julio Bracho (“La Clinica” and “Por ella soy Eva”) as Fernando Sandoval. “El Mariachi” is the first series to be produced by SPT and Teleset entirely in Mexico. In addition, it marks their third SPT-commissioned project for Latin American audiences, joining “La Prepago” and “Metastasis,” the recently-announced adaptation of “Breaking Bad.” All three original series have been sold across most major Spanish-speaking markets.